Old School racing may seem antiquated by today’s standards, but the old NASCAR drivers had less to work with and were arguably better drivers than today. 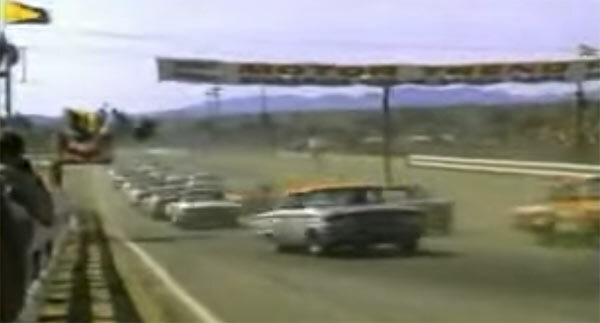 This video is a great look back at the heady days of NASCAR in the mid-60s in all its glory. The video is shot at Riverside Raceway, Moreno Valley, California for the MotorTrend 500 in 1965 and shows that it was more of a full contact sport back in the day. You can see the likes of Dan Gurney and Ned Jarrett scream around the track in its 1957 layout and you have to be amazed by how they throw those huge vehicles round the bends at full throttle. The video also shows the infamous crash of A.J. Foyt and just highlights the dangers the drivers were up against back in the day. A great piece of vintage footage which shows just how raw and exciting racing was back then.